Each set comes with 6-10 tasks and each task comes in 2-4 levels. There's 120 tasks included in the bundle. Visual instructions for each task with real photos are included. The best part is that this set uses real photos and age appropriate graphics, making it appropriate for kindergarten through high school! I store these tasks in these photo containers and in pencil pouches. The labels that are included are color coded by level, so it's easy to differentiate. 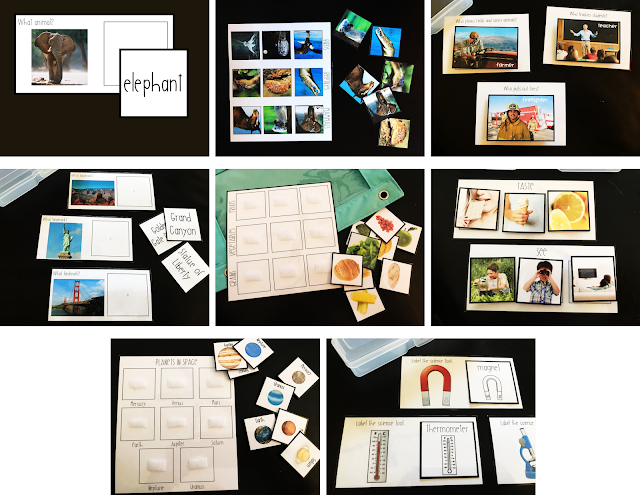 I love to use these tasks for independent work but they are also great for centers and early finishers. 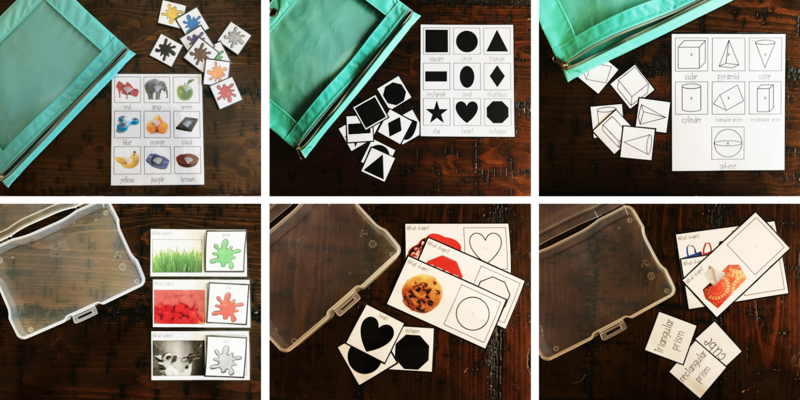 Set 1 includes 6 color & shape tasks. 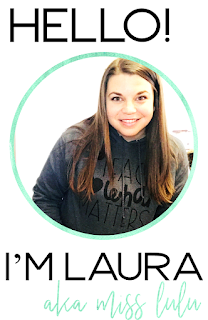 Students will identify and match basic colors and 2D and 3D shapes. 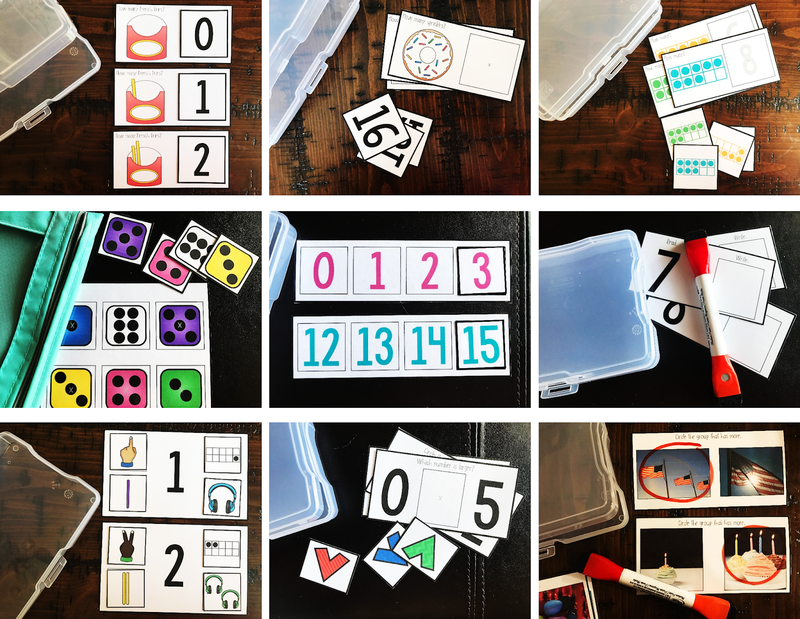 Set 2 includes 9 numeracy tasks. 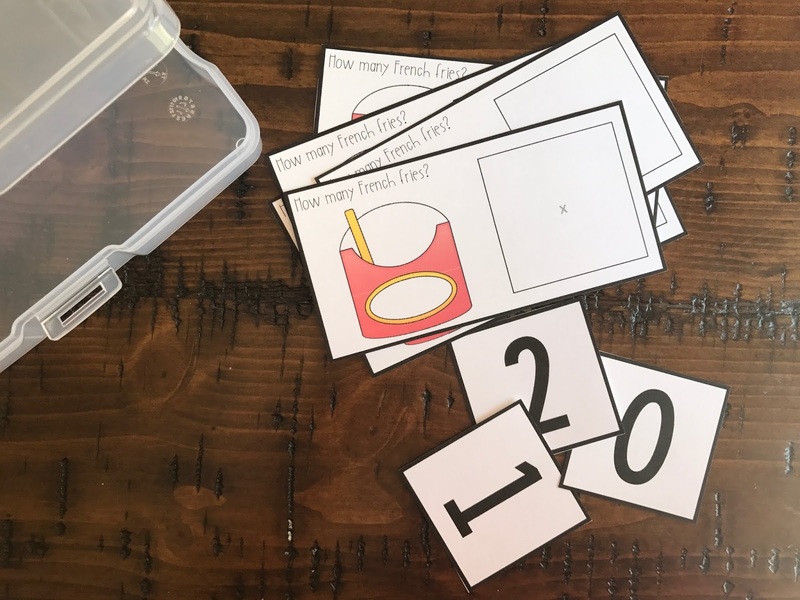 Students will practice numeracy skills from counting to comparison. Set 3 includes 8 science and social studies tasks. There's a wide variety of tasks included in this set, from animal classification to science tools. Set 4 includes 8 time and money tasks. 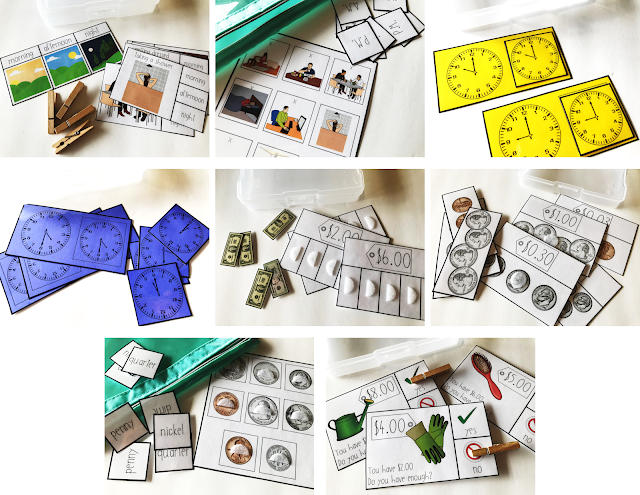 Students will work on time telling, counting money, and budgeting. Set 5 includes 9 alphabet and phonics tasks. 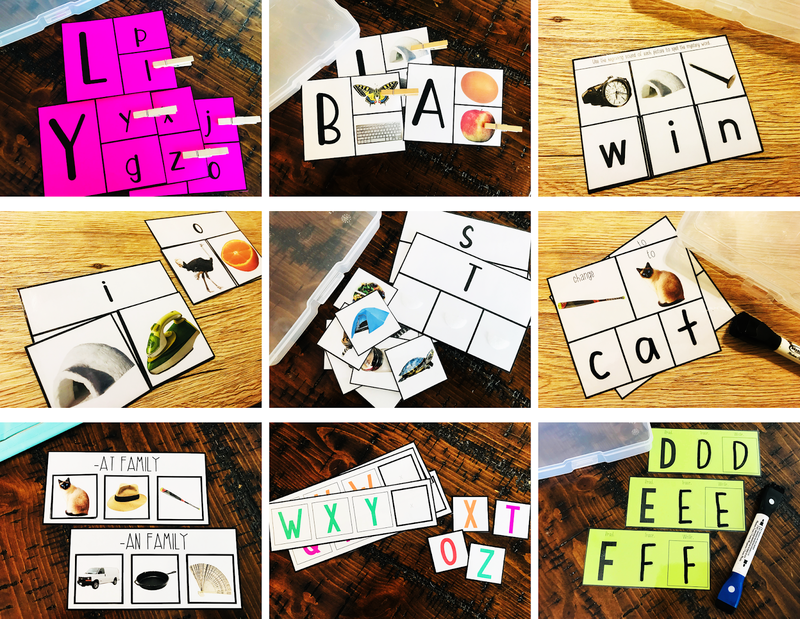 Students will match and write letters and practice emergent phonics skills. You can check out the whole bundle or each individual set here.